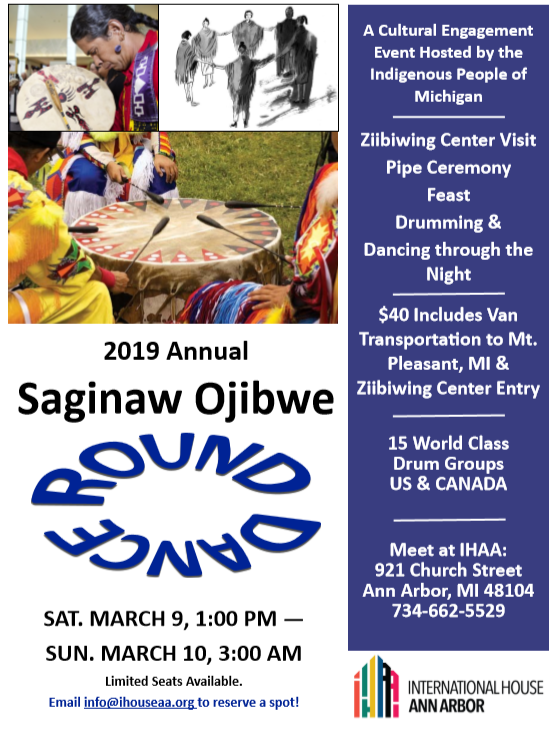 IHAA welcomes you to participate in the 2019 Annual Saginaw Ojibwe Round Dance on March 9. Travel to Mt. Pleasant, MI and visit the Ziibiwing Cultural Center and participate in a Pipe Ceremony, Feast, Drumming and Dancing. Space is limited and the cost of this excursion is $40 and requires an RSVP by February 23.